Experts say recent rain across much of Texas has contributed to a much better than usual 2019 wildflowers season. 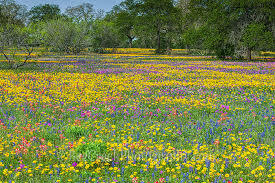 The Texas Parks & Wildlife Department says the colorful displays range from bluebonnets, buttercups, to Indian blanket. East Texas also has trout lilies, wisteria, and flowering dogwood.